We’ve been getting messages from Beat of Hawaii readers who were stuck on yesterday’s cancelled Southwest Hawaii Flight, which for mechanical reasons did not operate. Southwest Airlines flight 5700 was scheduled to depart Honolulu at 9:10am and arrive Oakland at 515pm. We reached out to Southwest media relations to inquire about the incident, and just heard back from them moments ago. Interesting timing with yesterday’s USA Today article entitled “Southwest Airlines has cancelled 9,400 flights in past six weeks, and more are on way.” The spate of recent cancelled flights was, according to Southwest, caused by a winter weather (3,800 flights), the labor dispute with SWA mechanics (2,800 flights), and the grounding of the 737 Max fleet (2,800). Our take is that the winter weather is over, the labor dispute appears to be resolved, and the Max fleet issues are outside of Southwest’s control. That being said however, there are unique concerns associated with the Southwest Hawaii flight model. So read on. Southwest Hawaii Flights are Unique. This is of special importance to us here in Hawaii and those flying to the islands. And this was a concern that we had raised with Southwest recently. 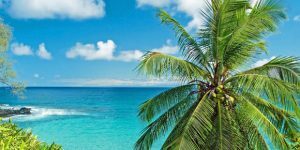 Hawaii is over 2,500 miles from the US mainland, and any issues with Hawaii flights could result in some ripple effect now and going forward. We wondered about potential issues with aircraft on Hawaii routes. 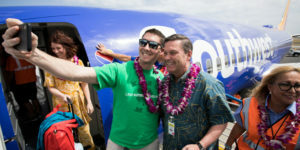 Southwest is just in the beginning phase of rolling out Hawaii flights. It is interesting to note that we omniciently asked Southwest how they would handle issues like these. The reason is in part that they do not have inter-airline agreements to re-accommodate displaced passengers. We were told that while that is true, the company can and will buy tickets for passengers on other carriers when the need arises. We were also told that additional aircraft would be available in Hawaii to be certain that there were no unexpected issues during this time. Southwest EVP Andrew Watterson told us last year that flights from the mainland would arrive one day, fly inter-island the second day, then return to the mainland the third day. That too would seemingly help in mitigating delay or mechanical problems that inevitably occur. Southwest And Hawaiian Airlines Fleets. The Southwest business model for Hawaii flights obviously stands in sharp contrast to that of Hawaiian Airlines, which has all of its 56 aircraft based here in Hawaii, together with its parts and maintenance base. Southwest’s fleet is entirely mainland based. As a side note, we also recall when we were stuck at LAX for 8 hours, due to a Hawaiian Airlines plane that went mechanical. Later we were rerouted to an American Airlines flight. So just saying, this can happen no matter the airline. If you were scheduled to be on yesterday’s cancelled flight, we’d appreciate hearing from you. 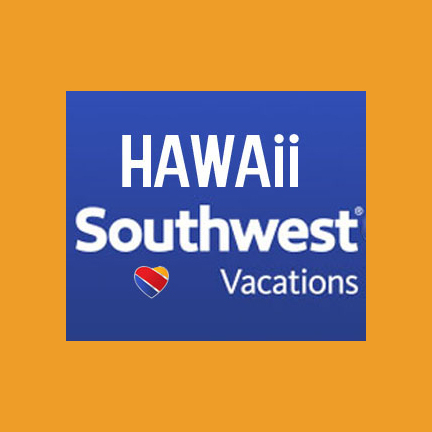 Dear BOH, Please let your readers know that Southwest Airlines does not have interline agreements with other airlines that fly to and from Hawaii. That means a ticket from Southwest is worthless on another airline if your flight is delayed or canceled. Although there are dozens of flights to and from the mainland each day, Southwest will only reaccomodate their passengers on the next available Southwest flight to their destination. I found this out the hard way many years ago when I had to pay for a very expensive full fare ticket to get home for work after Southwest cancelled my flight from Portland to Phoenix. Probably a lot of unhappy passengers who had to wait all day Wednesday at the airport, spend a short night at the Ala Moana, and then get stuck in a middle seat back to Oakland Thursday. Of course Southwest doesn’t advertise this reverse perk. Thank you. My husband and I were actually on SW flight 5700 that got cancelled, and while no extended delay is ever fun, we thought it was handled well. We received updates from ground operations and the pilots of the aircraft regarding the maintenance issue while on the plane, and got to deplane when it became an extended issue so we could use real restrooms and get food in the airport. 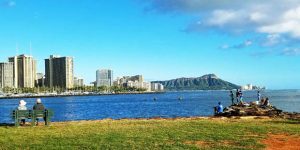 As far as compensation goes, we each received $300 in SW vouchers (valid for a year), a hotel room at a nice downtown Honolulu hotel (Ala Moana), chartered shuttle service to the hotel, and meal vouchers. We all were rebooked on a SW flight to OAK the next day and adults got free drinks on that flight if they wanted them. SW handled all our rescheduling to our final destinations. Was it a perfect situation? Nope. 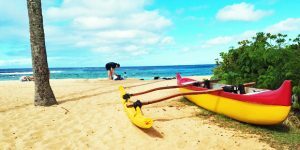 SW is just starting service to Hawaii and they have some details to work out. Will some peoples’ experience be different than ours? Yep. Some people chose to leave and make other arrangements before the final cancellation of SW flight 5700. My husband and I chose to wait it out and let SW accommodate us. However, I imagine that every passenger on that plane, including me, took advantage of SW’s $49 one way fares from OAK to HNL and back the day they went on sale. We all got an incredible deal on our Hawaii vacations, and were accommodated to the best of SW’s ability when something unplanned happened. Plus, we’ll get to travel for free/mostly free the next time we’d like to travel on SW with our $300 vouchers. Since I’m back home now, I’m not monitoring any comments/responses to this, and won’t respond to any emails either. Aloha! Thanks for update on that Katy. Thank you Herb Kelleher ( recently deceased) for your unwavering visionary leadership of creating SW Airlines. The travel world has greatly benefited a lot since the creation of “The company plane”. I’ve been captive on other airlines with, delayed but completed, flights that “the mechanical issue” wasn’t “resolved or deemed severe enough” to cancel a flight and deferring to the mighty dollar as the guide. Just think about that as you pray “they” are right while 36,000 feet in the air. I thank and applaud SW for putting safety ahead of ALL other considerations! Without Herb and SW we could be paying 2-3 times the going rate on the routes they fly and BTW still 2 free bags per passenger! Peanuts, to those with negative thoughts! How quickly we turn..
SWA is making some major faux Pau’s and not really offering a better product. They are kind of coming into the market with a cocky “we’re from the mainland and can do this better” attitude when in fact they are inferior to Alaska and for sure Hawaiian. It’s not being received well. In another travel forum, a traveler on the cancelled southwest flight said that they were given little info during the delay. In addition there was only one agent at the gate when the flight was canceled and passengers were told to call Southwest for accommodations. Not sure how it finally turned out, but it sounds like it was handled very poorly. Thank you for your continued updates on Southwest and having the courage to ask them tough questions about issues that can and will happen. When in a cancelled flight situation I know how frustrating it is but let’s face it, would you rather fly with a Mechanical issue or get home safe? I will say that it was a very generous act on Southwest’s part to put all of the passengers up in a hotel. I don’t think many airlines would do this and it doesn’t surprise me at all that Southwest did. Keep up the great work BOH, I very much appreciate it!